Delightfully feminine, and lovely. 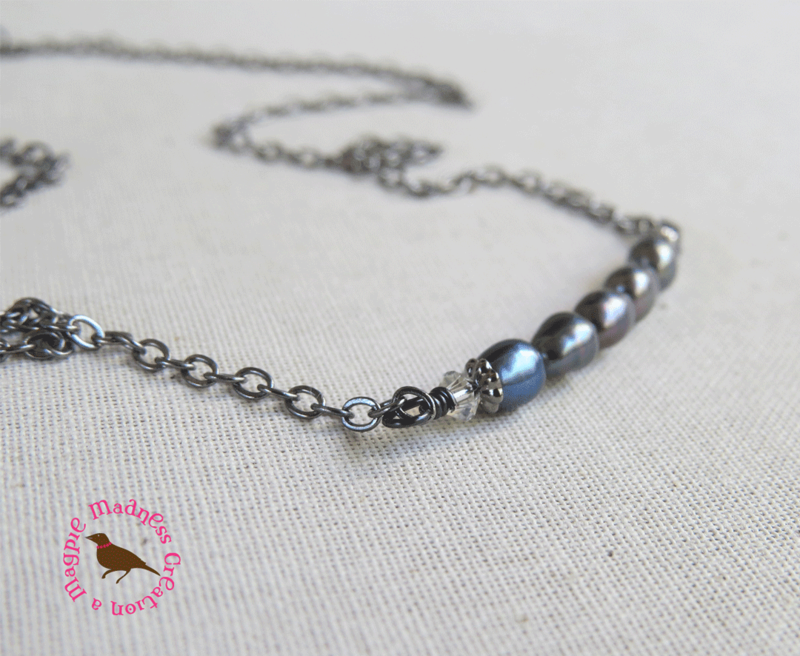 This is a minimal, classy necklace composed of natural peacock blue and gray pearls, Swarovski crystals and finished with a strong yet delicate gunmetal chain. 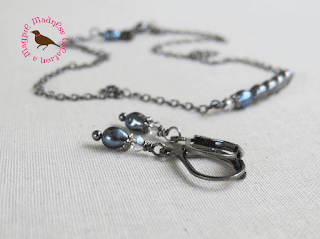 Finished necklace as shown is 16 inches, but feel free to select your preferred length at checkout. 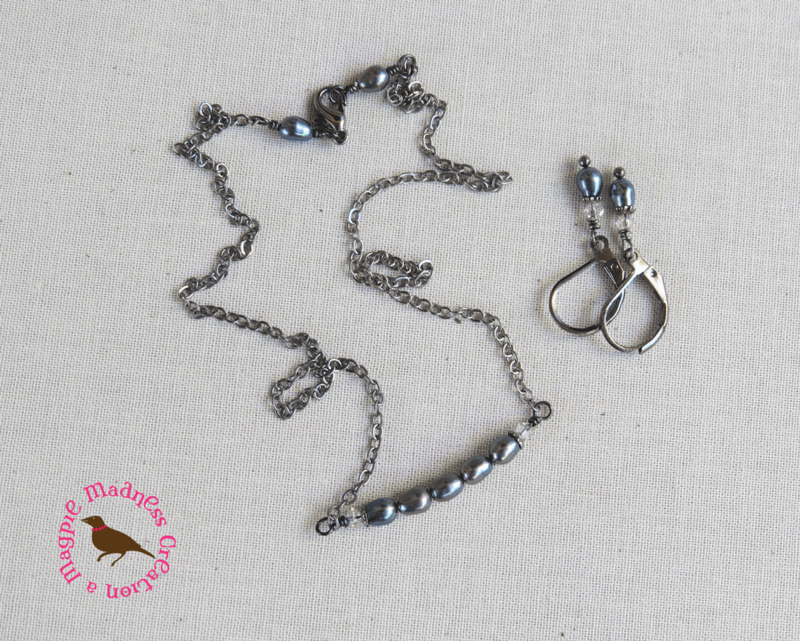 The chain is finished with more peacock pearls adjacent to the clasp for a decidedly feminine touch. Add to your collection here. Add on these dainty pearl earrings for a complete set. 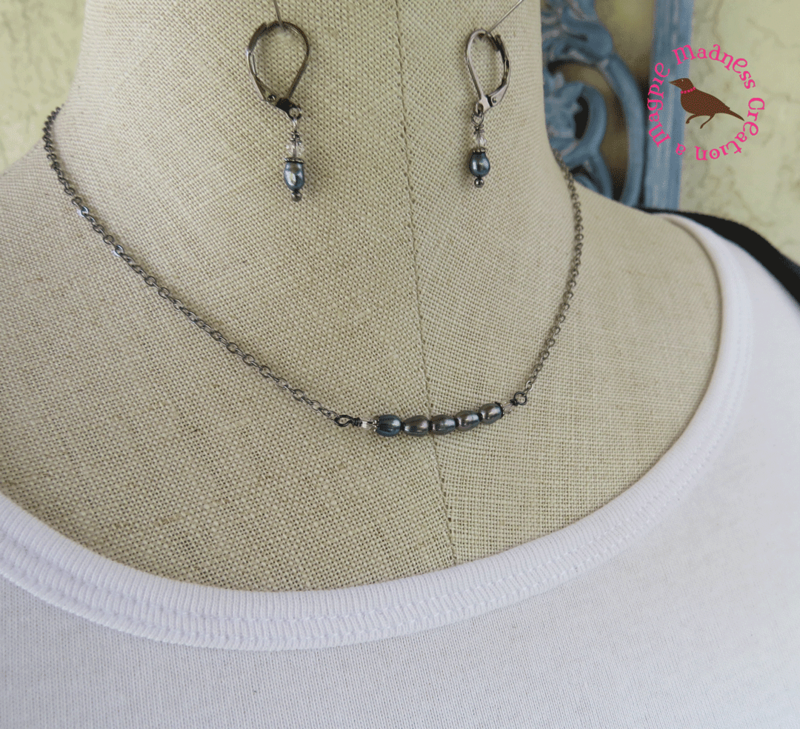 Earrings are hung on gunmetal leverback wires and are made with the same baroque pearls!!! These are sure to be worn and loved for years to come. All Magpies are made by me in my home studio. All metals used are nickel and lead free. Chain is gunmetal. Pearls are freshwater peacock pearls. Crystals are Swarovski.